Contact The Lynchburg Team - Lynchburg Real Estate Services KW to learn more about your market - 434-879-3275 or email contact@thelynchburgteam.com. Make sure to visit http://thelynchburgteam.com to learn more about all of the services we provide to serve you and your home needs - Your One Stop Real Estate Shop - The Lynchburg Team! Mortgage rates have been low for quite a long time now. Even recently, when they’ve started to creep up, they’ve come back down again. But we all know this can’t last forever. In fact The Federal Reserve Chair, Janet Yellen, recently indicated rate increases can be expected in the not too distant future. Well, she may not have mentioned mortgage rates specifically. But when the Federal Reserve stops buying up bonds and allows inflation to take its natural course — that means it will rise — then mortgage interest rates will also be affected, along with many other costs associated with purchasing and owning a home. So how does inflation affect mortgage rates? Let’s start with understanding what inflation is. Inflation basically means that prices are rising. When inflation runs its natural course, the cost of products slowly rises, so that you’re paying more for the same item. In a stable economy, wages will rise to match inflation, so that costs aren’t out of control and the people can still keep the economy moving by making purchases and circulating cash. As a country we are in a good place economically now, with low unemployment, rising wages, and robust consumer spending. However, if the people start spending more, and create a risk of supply not being able to meet demand for goods and services, the Fed may raise interest rates to slow things down. So a strong economy can itself trigger inflation to grow, affecting your clients’ purchasing power and home buying prospects. When inflation rises quickly, your clients’ buying power won’t keep up, and they won’t be able to buy the same items and services for the same cost as they once could. That includes their mortgages: Inflation will cause the mortgage interest rate, and possibly the fees associated with a home mortgage purchase, to rise. For some people this could put homeownership out of reach. Consider this example: When interest rates are at 5 percent, a homebuyer can pay around $1,600 per month on a $300,000 loan; but at 6 percent, $1,600 per month gets them a loan of $270,000. In addition to your clients’ mortgages costing them more, the house itself will cost them more. If you’re selling a homebuyer a brand-new home, the cost of lumber will have increased, raising the price. Even in an older home, clients will be paying higher rates: for new carpet, for the HVAC serviceman, for the home warranty. Of course, no one can say with certainty how prices and inflation will change over the next six months, or 12, or the next five years. What we do know is that mortgage interest rates are still at historic lows; that home prices are still incredibly affordable, but they are rising; and that inflation will probably soon be on the rise: all factors which make now the right time to buy a new home. Please share my contact information with your clients and encourage them to all me to review their personal financial situations. Together we can get your clients off the fence and into a new home! On April 2nd, 2015 Katherine Farber spoke for a class at American National University on Candlewood Ct in Lynchburg, VA about her experience as both a realtor for Keller Williams and as a business owner, being the owner of The Lynchburg Team - Lynchburg Real Estate Services, KW. She fielded questions from the classroom of students about lead generating, lead tracking, the real estate process, the day to day challenges a realtor faces and the challenges of running a business. She spoke about the hiring process for members of her team, focusing on her vision of training and focus - with The Lynchburg Team, Lynchbug Real Estate Services all team members undergo rigorous and continuing training to ensure that they are well versed on every aspect of the real estate transaction, and all team members have a very specific focus within the company to ensure that they are able to focus on their "One Thing". Each member of The Lynchburg Team is able to dedicate all of their time to their specific field of focus, ensuring our clients receive excellent customer service from someone who will only have that client's best interests in mind. 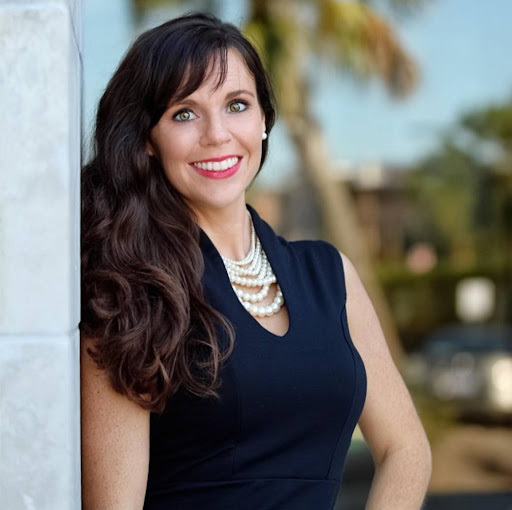 Katherine routinely volunteers to teach about the home buying process, particularly for first time home buyers, and can often be found at colleges in the spring and early summer months helping educate the community. In addition to the training and educating she volunteers for at local colleges, Katherine volunteers for several other local charities and causes. For instance, currently The Lynchburg Team is coordinating a donation drive for Human Kind, accepting canned goods and non-perishable items. Last week saw encouraging housing news with sales of existing homes reaching their best rate in 12 months, and new home sales hitting their fastest pace in seven years. Also, layoffs enjoyed a better-than-expected drop. Sales of existing homes hit their fastest pace in a year, rising 1.2 percent to an annual rate of 4.88 million in February, according to last week’s report from the National Association of Realtors. All told, sales of existing single-family homes, townhomes, condominiums and co-ops were 4.7 percent higher than the same period a year ago. That said, prices climbed as well. The median price for existing homes of all types hit $202,600 in February, which was 7.5 percent higher than February 2014’s price. This marked the 36th straight month of year-over-year price gains. It appeared that higher prices caused by winnowing supply were holding the market back, according to NAR chief economist Lawrence Yun. Looking at inventory, the total pool of existing homes for sale at the end of February grew 1.6 percent to 1.89 million units, representing a 4.6-month supply of available homes at February’s sales pace. New home sales hit a seven-year high in February, with sales of new single-family homes hitting an annual rate of 539,000, the Census Bureau and the Department of Housing and Urban Development reported last week. February’s pace was 7.8 percent higher than January’s revised rate of 500,000 and was 24.8 percent higher than February 2014’s pace of 432,000. John Johnson, chief executive of homebuilder David Weekley Homes attributed February’s gains to improved consumer confidence and low interest rates. Looking at price, the median sales price of new homes sold in February was $275,500, and the average sales price was $341,000. The estimated inventory of new homes for sale at the end of February was 210,000, representing a 4.7-month supply at February’s sales pace. First-time claims for unemployment benefits filed by the newly unemployed beat analysts’ expectations, and fell to their lowest level in five weeks. Initial jobless claims filed during the week ending March 21 dropped to 282,000, a decline of 9,000 claims from the preceding week's unrevised level of 291,000, the Employment and Training Administration reported last week. This beat job market watchers’ expectations that claims would come in at 290.000 for the week. The four-week moving average — considered a more stable measure of lay-offs — fell to 297,000, a drop of 7,750 claims from the prior week’s unrevised average of 304,750. All in all, a sustained low level in layoffs spells good things for the job market, because it typically corresponds with increased hiring. This week we can expect: Monday — Personal incomes and spending for February from the Bureau of Economic Analysis. Tuesday — Consumer confidence for March from The Conference Board. Wednesday — February construction spending from the Census Bureau; car and trucks sales for March from the auto manufacturers. Thursday — Initial jobless claims for last week from the Employment and Training Administration; February balance of trade from the Census Bureau and Bureau of Economic Analysis; February factory orders from the Census Bureau. Friday — March unemployment, payrolls, hourly earnings and average workweek from the Bureau of Labor Statistics. Thinking about Downsizing? Want to learn how to leverage your money for retirement? In 2015, silver and gold have shimmied out of the jewel box and onto the wall — and whether subtle silver or bold gold, wallpapers with hints of metallic are hardly wallflowers. “As the economy begins to look up, consumers are having more fun with fashion, and that attitude translates to home design, too,” says Gina Shaw, vice president of product development at York Wallcoverings. “Metallic home accessories are making a comeback because of the fashion influence of metallic shoes, bags and clothing.” Metallics add interest and dimension many rooms in your home. “They work well with any style, modern to traditional and come in a range of styles from solid backgrounds to just a hint of shimmer,” Shaw says. Try out the trend with mica, sand and glass bead patterns that whisper with subtle shimmer, or go full-out with designs that incorporate mylar for a gleaming mirror-like look. Five tips for decorating with metallic wallpapers: Create a grand entrance with metallics in an entryway. A powder room is another small space where metallics can make a big statement. Use metallic wallpapers to complement bronze, copper or pewter decorative hardware or stainless steel finishes in kitchen appliances. A soft, shimmery metallic in a bedroom can create a cozy environment conducive to sleep. Don’t forget the “fifth wall” – try a shimmery metallic overall texture on the ceiling. Your ability to write a check, buy insurance and get a job can all be influenced by "specialty" consumer reports that track your behavior, according to a new report from Consumer Action, a nonprofit group that advocates for consumer rights. CA's new Insider's Guide to Specialty Consumer Reports explains: What information companies collect about you. How to check what's in your specialty reports. How to correct errors in your specialty reports. Your rights under the Fair Credit Reporting Act. Knowing what’s in your specialty consumer reports is important because companies use the information to make decisions about your finances and employment. Checking your reports and correcting errors ensures you’re treated fairly by the companies that use specialty reports to make decisions about you.